Shirts With Random Triangles: Missouri QB Maty Mauk recovering from viral infection. Missouri QB Maty Mauk recovering from viral infection. 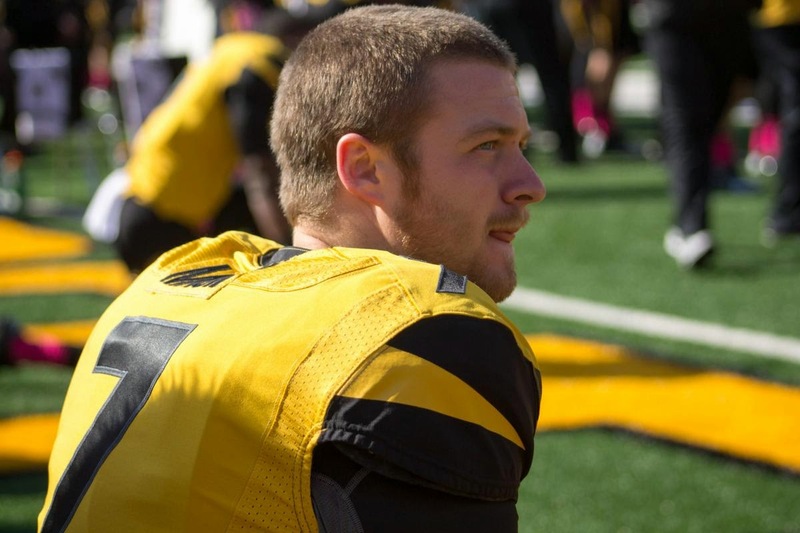 Missouri quarterback Maty Mauk is recovering from a recent viral infection. The redshirt sophomore's illness was announced by Missouri head coach Gary Pinkel during his SEC Media Days session. Mauk later discussed having the illness during his time in front of the media. "Something happened to me and I lost some weight," Mauk said on Wednesday during the third day of SEC media days. "Obviously, it wasn't [anything] bad. I feel fine, I feel great. The main thing is I feel fast. I kinda had speed already and now I feel like high school again. I'm ready to go out there and I'm ready to do what I have to do to make our offense as explosive as can be." Mauk said that he had lost "eight or nine pounds" due to the infection, which be blamed on a combination of "extra working out and running" following his "recovering from a sore back." Here's more of Mauk's SEC Media Days session, courtesy of the SEC's YouTube site. Mauk is apparently trying to pick up where former Alabama QB A.J. McCarron left off in the bow tie department. Mauk went 3-1 in 2013 as QB for Missouri while filling in for the injured James Franklin.